There are now over 65 certified communicators, four of them IABC members located in British Columbia. 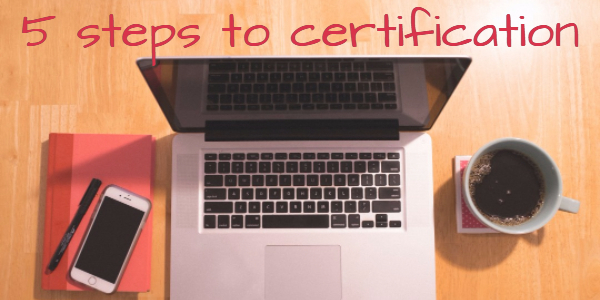 Getting from the Communications Management Professional (CMP) application stage to the certification stage takes a few steps. If you’ve read through the certification information on the IABC international website and the Global Communication Certification Council website and are still unsure if you’re ready for the exam, this post is for you. Achieving the CMP certification signals that you have established a broad understanding of the six core principles in the IABC Global Standard for communications professionals. It is the second of four career levels: Foundational, Communication Management Professional, Strategic Advisor (similar or senior to ABC), and Business Leader. Candidates must demonstrate six to eight years of solid business communications experience along with relevant professional training and education. Sounds like you… maybe? Read on. This is important! I’ve talked to many people who are concerned about the exam but haven’t opened the application form yet. Open them. You will need to submit a full summary of your formal education, training and experience. Unless you regularly keep documentation for all of these items on hand along with up-to-date contact information for each, this part can be time-consuming. Start now. IABC/BC will be hosting the Communications Management Professional (CMP) exam on May 26, 2017 in Vancouver. The Global Communications Certification Council (GCCC) requires at least 30 days to review your application, verify your references and notify you if you have been approved to write the exam. Tip: Ensure your business communications experience is clearly outlined in your application form. If the council finds your application to be incomplete, you will be notified that you are ineligible to write the exam. While every candidate is different, there are a few resources I recommend studying in order to prepare for the exam. First, as mentioned above, how well do you know the IABC Global Standard for communications professionals? Second, review the Job Task Analysis Report in the Communications Management Professional Candidate Handbook. If any of the competencies or tasks are unfamiliar to you, this would be the time to start reading up on those areas. If you’re an IABC member, the CW magazine and other members-only sections also provide valuable learning resources. Congratulations! You have received your certificate and can proudly display your CMP designation. As part of maintaining your designation, graduates are required to undertake continuous professional development. Two ways to do this are to attend organized professional events (such as your local IABC/BC events) or participate in a leadership role for a professional communications association (such as your local IABC/BC board). If you’re a graduate or a soon-to-be graduate, get involved in IABC/BC! Personally, I challenged the exam to find out whether I was on the right path towards becoming a senior communications professional. The experience of filling out the application form and preparing for the exam helped me to benchmark my knowledge and varied work tasks against an international communications standard. I highly recommend this designation to any professional communicator who is looking to establish their knowledge of the communications profession. Rachel Wong is one of the first Communications Management Professional graduates and the first graduate in British Columbia. She is a communications advisor at Vancouver Fraser Port Authority and has held several volunteer positions with the IABC/BC chapter. In the 2016-2017 board year, Rachel was the Director, Membership Services on the IABC/BC board of directors.